No, this isn't a Blue Jay. 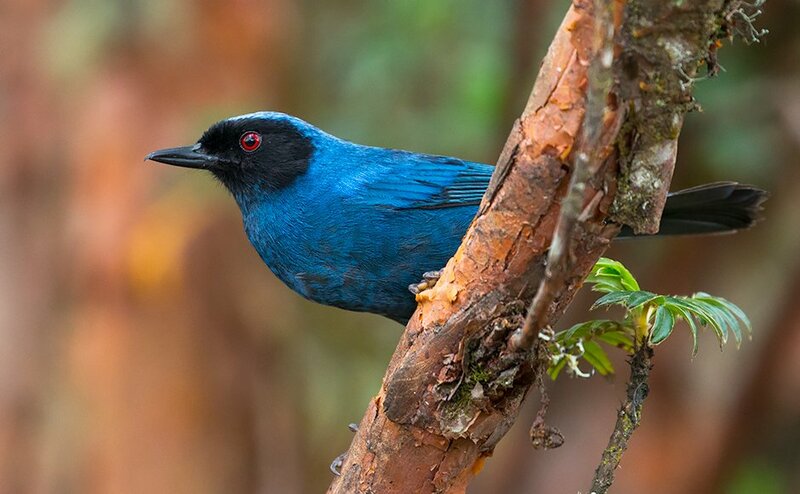 It's a Masked Flowerpiercer in South America. Birds like this can be sources of great happiness to birdwatchers. Are you getting interested in birds? Congratulations! The many great benefits of birdwatching will enrich your life. Here are the top three. What’s so great about birdwatching? It seems like all the kids are doing it these days, so there must be something to it. I’m joking a little here, because in reality not that many youngsters are into birdwatching. But this seems to be changing and I dream of a future where many more of our children are excited about birds and nature in general. Until then, let’s talk about why birds are cool and why you should start watching them. Birds are amazing animals and not many days go by in our lives where we don’t see at least a few of them flapping around. We are surrounded by these colorful, intelligent, vocal, flying creatures. It can be a superb delight to get to know them better. And in case you haven’t heard: birds are actually dinosaurs. 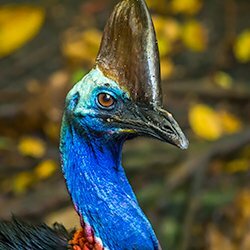 Yup, we now know that birds are, without a doubt, the only surviving lineage of dinosaurs that made it through the great extinction 66 million years ago. Birdwatching– i.e. birding– is a wonderful pastime for many reasons. Let’s talk about three big ones. 1. Birding helps you connect with nature. Birds are some of the best ambassadors from the natural world. There are roughly 10,000 species spread across countless habitats on all seven continents. With their voices, plumage patterns, colors, and antics, birds invite us to learn about them and the ecosystems they inhabit. If you start birdwatching, you’ll start to pay closer attention to nature. Birds don’t live in isolation– each species interacts with numerous other animals and plants, as well as elements of the non-living world such as geologic formations and weather systems. You can begin to understand the interconnections among all of these things in nature by paying some attention to birds. Once you get excited about seeing birds in the wild, you’ll probably find yourself being more motivated to get outside, to explore new places. Our pursuit of birds can take us to some pretty wonderful places, from a hidden patch of forest down the street, to a lush oasis in the Sonoran Desert, or to a giant slab of sea ice in Antarctica. Along the way, you’ll see and experience countless other natural wonders and become more connected with our beautiful planet. If you’re like me and many other bird enthusiasts, you’ll find yourself becoming a naturalist, a person who appreciates and studies many facets of nature. Spending time and energy finding and observing birds is great for your physical, mental, and emotional health. Sure, you’ll be in great shape if you are literally running around chasing birds, but you don’t have to be that intense to get the health benefits of birding. Looking for birds gets you outside in the fresh air and gets you moving. Even just pottering around at an easy pace is far better for your health than watching Netflix on your couch or sitting at a desk for hours. You might even end up hiking to somewhat remote areas or at least walking for miles to find interesting birds. Some of the most rewarding birding experiences are those that you work the hardest for. By becoming a birdwatcher, you are stimulating your brain in healthy ways. You must hone your senses and learn to observe little details. You’ll come to remember the names and habitats of many species. All of this gets keeps your neurons firing and helps form new neural connections in your brain. Birding is perfect for those of us who are lifelong learners. Your emotional well-being can benefit from birdwatching as well. Birding can be a very fun social activity (see below), but even if you do it alone, you can gain happiness from the gradual accumulation of experiences, knowledge, and species on your ‘Life List’ (should you choose to keep one). Research has shown that cumulative activities like birding can bring us a lot of satisfaction and pleasure. Birdwatchers are generally a pretty sociable group. They love to talk about birds, about their birding experiences, and about the places they have visited in their pursuit of birds. There are birding groups small and large across the U.S. and the world. The Internet Age has revolutionized the way in which birders meet and share information. With just your smartphone or computer, you can meet and chat with a fellow bird lover in Uzbekistan, or you can make arrangements to go birding with someone in New Guinea. Because of our interconnected lives and the free flow of information across the planet, this may be the best time ever to be a birdwatcher. Local groups, such as your neighborhood Audubon Society, are a great way to meet like-minded people and perhaps make some fantastic new friends. These organizations usually offer free bird walks that are perfect for beginner birdwatchers. There are also many birding festivals across the U.S. every year. You may find one of these festivals near where you live. Facebook Groups, online forums, and other websites offer countless ways to interact with birders of all types. If you have a question about a bird or birding or gear, there are people who will offer you detailed answers… perhaps more info than you ever wanted! Both beginning birders and seasoned veterans can have a wonderful time on a guided group birding tour. Spending a week or more in a wild, beautiful place with a group of bird lovers and a good guide can be a deeply rewarding experience. People often make lifelong friends on such tours. 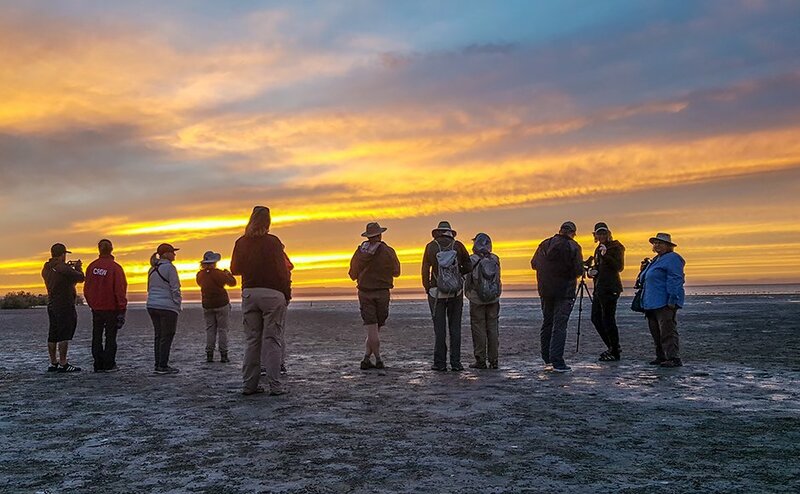 The social component is an added benefit, on top of seeing amazing birds, wildlife, and new landscapes. We also made a video on this topic. You can watch it here.